There are several important dagoba’s in Tissa, the most imposing being the Tissamaharama Wehera meaning ‘Great Temple’. The Tissamaharama Wehare is brilliant white in colour and stands a soaring 55m high with a circumference of approximately 165m. 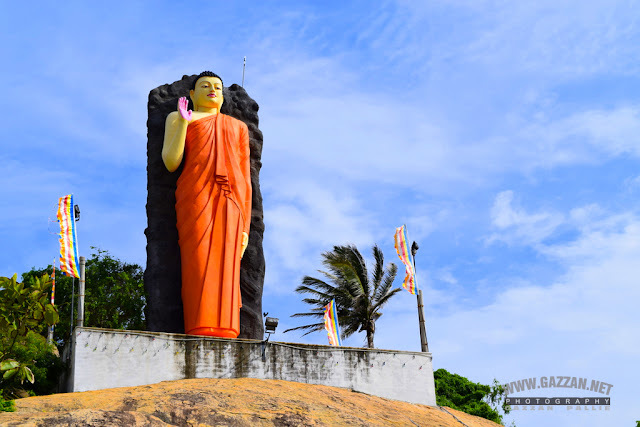 It is attributed to King Kawantissa who ruled Ruhuna in the 2nd Century BC, and was the largest dagoba in the island at that time. This temple has been fully restored and at its pinnacle stands a spike covered in gold which was rescued from the sand by local Buddhists.. Legend has it that Buddha visited Tissamaharama on his third visit to the island and that a sacred tooth relic and a forehead bone relic are enshrined in this dagoba. As such it is considered one of 16 places in Sri Lanka that are sacred to Buddhists.